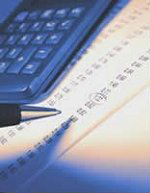 We provide full service accounting services for all of our associations. Our accountants, who are both licensed CAM’s offer accounting experience tailored to Real Estate and Association Management, and have over 25 years of experience in accounting and office management. Open communications with board members ensures you will not have to deal with an answering service or voice mail to get a resolution to issues or questions as they arise. Monthly financial reports including copies of all bank statements!